When they hear the phrase “air quality”, most people think of air outside. After all, outdoor air pollutants come from a variety of common sources, from the factories that produce our goods to the cars that we use to get to work every day. However, few people realize that indoor air can be even more polluted than outdoor air! In fact, according to the United States Environmental Protection Agency, indoor air quality can be anywhere from two to five times worse than the outdoor air, even in large cities where smog and other pollution creates a problem. Unfortunately, poor indoor air quality can pose a major problem for many people. After all, most humans spend a majority of their time indoors. When you are sleeping, watching TV, relaxing after a long day at work, doing chores, or any number of other household activities, you are breathing in your polluted indoor air. 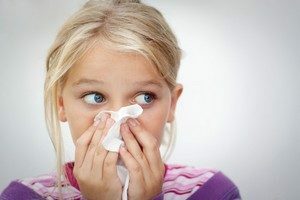 While poor indoor air quality can negatively impact even healthy people, it can have even worse consequences for medically vulnerable people such as those with chronic respiratory conditions, the elderly, and very young children and babies. If you are concerned about your Anne Arundel indoor air quality, Brumwell’s Instant Heating & Air Conditioning, Inc. is here to help! We offer a variety of indoor air quality solutions to minimize the pollutants in your home’s air, so you can breathe a sigh of relief! Contact our team of indoor air experts today for more information about our indoor air quality services. Why Is My Indoor Air Polluted? It is easy to understand how the outside air becomes polluted. After all, you can see exhaust from various machines and vehicles entering the atmosphere on a daily basis. However, how your indoor air becomes dirty may seem like a mystery to you. You probably work hard to keep a clean home, so it seems counter intuitive that your air would harbor contaminants, unbeknownst to you. Unfortunately, many household items and activities release pollutants into your home. Your furniture and décor can bring chemical vapors into your home. Smoke from a fireplace or indoor smoking will contaminate your air. Dander from pets can linger unseen in your home, impacting your air quality. Burning gas to cook or cooking with grease or oils will release toxins into your home. Even the very cleaning products you use to keep your home looking and smelling fresh release unstable chemicals into the air you breathe. All of these things and more can contribute to poor indoor air quality. On top of that, you cannot allow indoor air out and outdoor air in if you want to maintain a comfortable temperature in your home. In other words, your home is relatively air tight so that you can cool and heat it as you please, but the downside is that your indoor air continues to circulate the contaminants you release into it. Fortunately, there are steps that you can take to clean and purify your home’s air. If you are interested in having any of these air cleaning services performed, contact Brumwell’s Instant Heating & Air Conditioning, Inc. today! At Brumwell’s Instant Heating & Air Conditioning, Inc., we understand that you want to find cost effective ways to improve your home’s indoor air quality. UV lighting is one such solution. Having UV lights professionally installed is a smart way to reduce indoor air contaminants in your home. The ultraviolet light will kill germs and other microbes in your home’s air, reducing the spread of airborne illnesses and purifying your air. Your home’s ductwork distributes your indoor air. Over time, it can develop a collection dust and contaminants that your indoor air has to pass over each time it cycles through. Having your Anne Arundel ductwork professionally cleaned is a great way to eliminate some of the contaminants in your indoor air. Brumwell’s Instant Heating & Air Conditioning, Inc. offers professional ductwork services to help ensure that your indoor air is as clean as possible. Ductwork cleaning can make a great option for a periodic boost to your home indoor air quality, and UV lighting can help with discouraging the spread of illnesses and other microbes, but for maximum impact, consider having an air cleaner professionally installed. Air cleaners are filtration or purification systems that are typically installed right on your home’s air conditioning system and work by removing dust, pollen, and other damaging particles from your home’s air. Alternatively, portable air filtration systems can work within a single room rather than throughout your home, so if you simply want to reduce contaminants in certain parts of your home, they may be a smart option for you. Whatever your air purification needs, Brumwell’s Instant Heating & Air Conditioning, Inc. has an option for you! According to the EPA, your indoor air quality is impacted by your home’s humidity levels. Dry, heated winter air can create air quality concerns just as overly damp air can. Having a humidifier professionally installed can give you control over your home’s indoor air humidity, ensuring that your air always falls within a healthy range, no matter the conditions outside. Contact Brumwell’s Instant Heating & Air Conditioning, Inc. today for more information about improving your Anne Arundel area indoor air quality at 410-360-0002 or complete our online request form.